A home for curiosity, compassion, and connection. Where do you go when you’re seeking significant personal transformation – change that ‘s deep and sustainable? Where can you find support for experiencing a more loving connection with yourself or your body? How do you discover the permission to trust your gut and move in the world with confidence & joy? Where can you go to uncover the meaning in your life? These desires are at the heart of what we do. 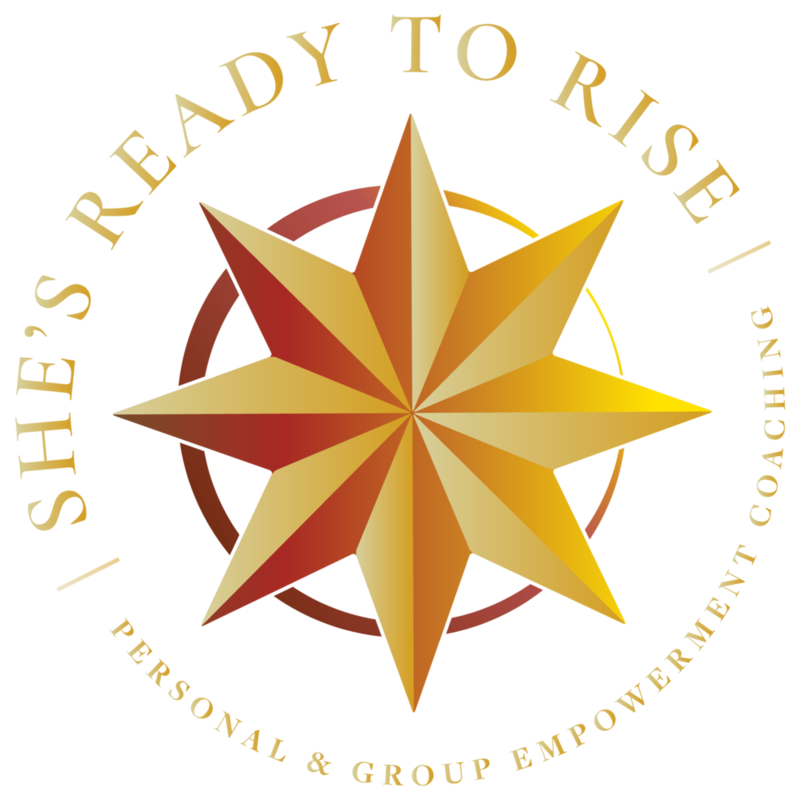 Welcome to our journey together at She’s Ready to Rise. 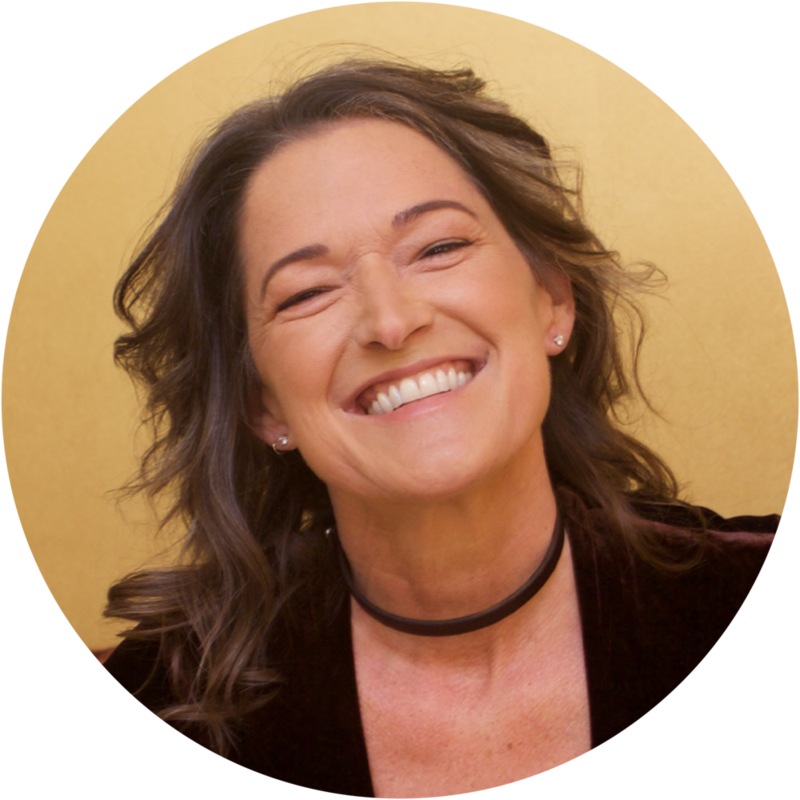 Founded in 2005 by empowerment coach, Coco Rosenblatt-Farrell, M.Ed., we are a personal and group empowerment coaching practice for women seeking the space and loving support to come alive to their own joy, truth, power, and pleasure. 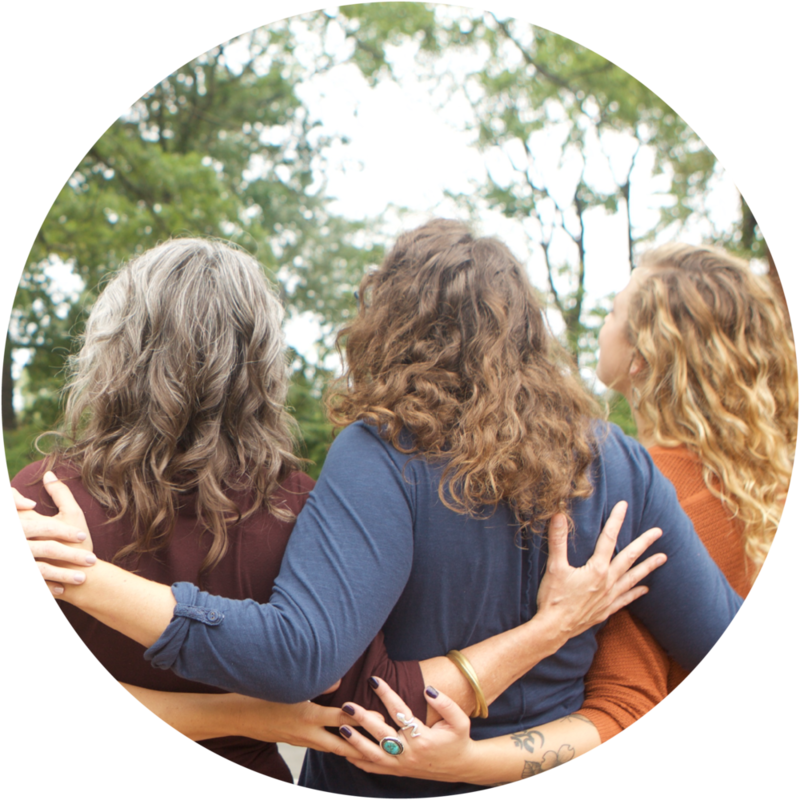 We provide you with personal coaching, retreats, discovery circles, workshops, and other resources – all of which are rooted in powerful, playful and spiritually transformative adventures. In our organic, never templated, curiosity-led style, we invite you to explore your inner self, your relationships to others and to your body. 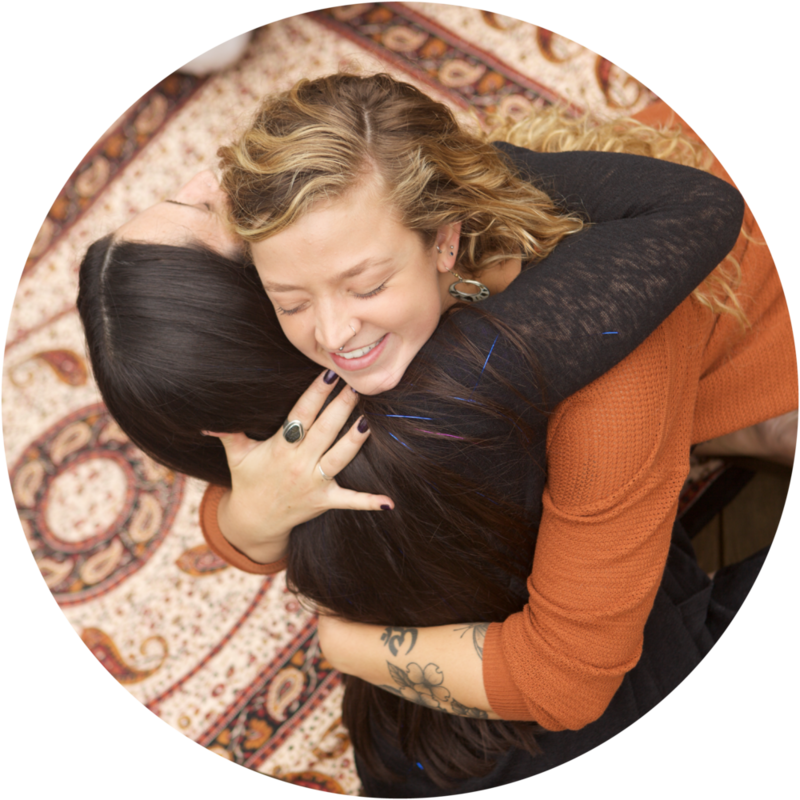 We do this deep, healing work together in our safe learning environments, like The Love Lab in Durham, borrowed spaces, and even via virtual coaching for wherever you are in the world. For you, we create and host passionate, intentional communities. These are places and events where women can connect in meaningful, compassionate ways with themselves and others. And wherever you are in your journey, you need to know: you are already enough. You are already whole. And it’s time that you were witnessed with love and compassion. You deserve the guide, the space, and the adventures to unearth and embody these truths and others. So if you are feeling ready to rise, we’ll be right by your side. Let’s clear your path ahead together. I want to live in a world where we are real – where we don’t have to manage perceptions, or shame, or bury our innermost feelings about ourselves, our truths, and our bodies. The thing is that too many of us are hiding who we are because of what we’ve been taught is “acceptable.” We feel self-loathing, decreased energy, and alienation from others when we manage the gap between how we really feel and what we feel we have to show the world. I know these feelings because I’ve been on that path myself. Growing up religious in a small New England town, I was given lots of messages about who and how I was supposed to be — especially as a woman. Ever heard of a “good girl” or a “people pleaser?” This was me — always putting others first, being a martyr, denying my needs, holding back my truth, and giving my power away. I spent years living in my head as opposed to consciously and joyfully embodying my female form. These were seasons of experiencing loneliness and alienation from others because it felt like so few people knew the real me. It’s only been the freedom to explore and communicate who I really am that has since helped me reclaim myself and my body and to guide others in doing the same. When I’ve had safe, intentional opportunities to become more in touch with my inner self, my body, and my sisterhood of women, that is where my life and my relationships have completely transformed. These are the moments that have given me the power and awareness to live joyfully in my body and develop a rich relationship with myself. These have also helped me cultivate my juicy, 32-year relationship with my husband, Noah and sustain me as a parent and mother to my college-aged child, Tehila. I started empowerment coaching in 2005 to bring these kinds of transformative experiences to more women like me and you. Leveraging my master’s degree in Education, past work as a teacher and creative movement facilitator, and more than a decade of coaching and guiding women in 1:1 and group settings, I passionately lead people into their bodies and ultimately, into more meaningful and authentic lives. Maybe you feel like life is a confusing tangle and you’re exhausted from trying to figure it all out? Or you think that you need to hide your body or keep your personal truths to yourself? I’ve been on that journey and in some ways, I always will be. But whatever you’re feeling deep down, it’s my life’s work to listen and meet you exactly where you are, human to human. I’m here to be your gentle reminder that this moment – now – is the only one we have. No matter where you are, you can discover and reclaim your full birthright of truth, power, and pleasure! And with care, I will guide you in a space where that kind of celebration and transformation are finally possible. Because healing only happens when people are witnessed with love. And I want you to know that love is waiting right here for you.